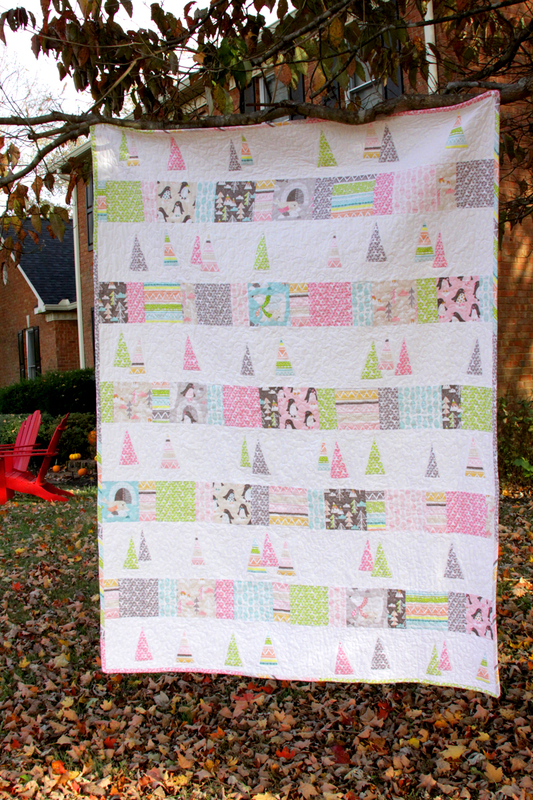 Today I’m super excited to be showing off my new quilt! When my kids were little they both had special blankets, so I was so happy to join in and make a blanket for a little one! 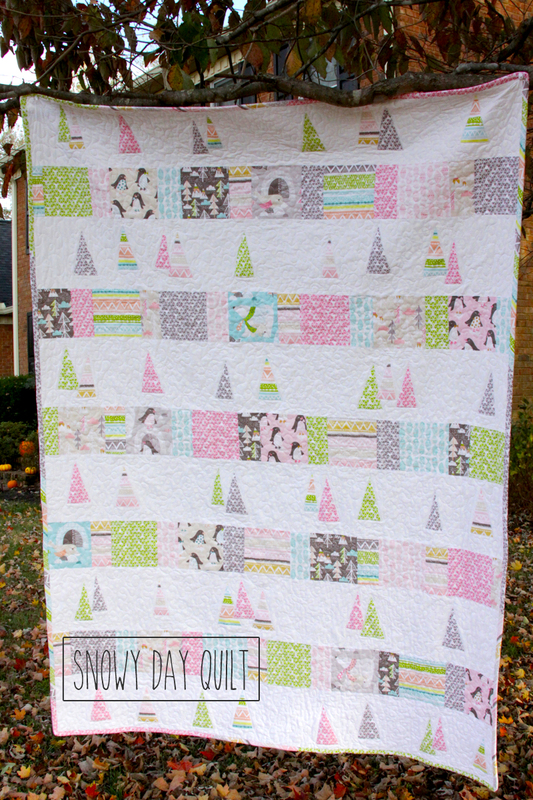 I created this Snowy Day Quilt and I really hope someone falls in love with it! 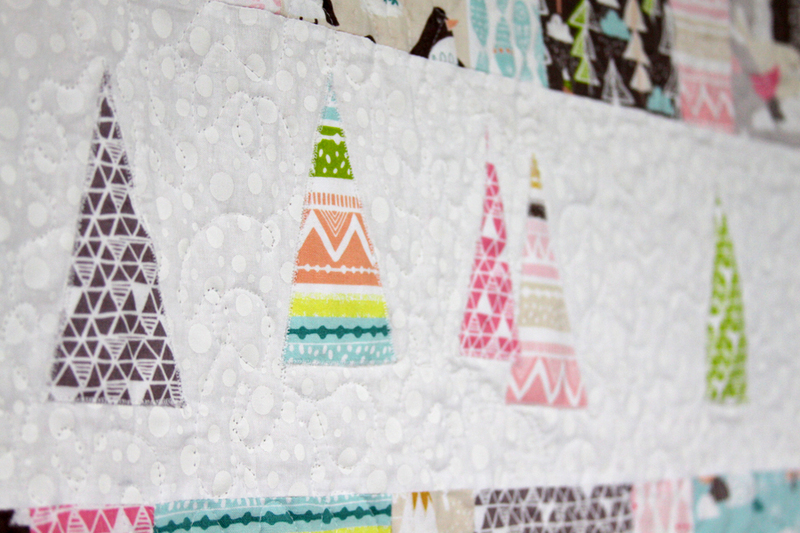 I used the Snow Day line from Blend Fabrics for the prints and trees and a white on white polkadot for the sections with the trees – I think it looks like snow falling! And those penguins in the bow ties?? Too adorable. 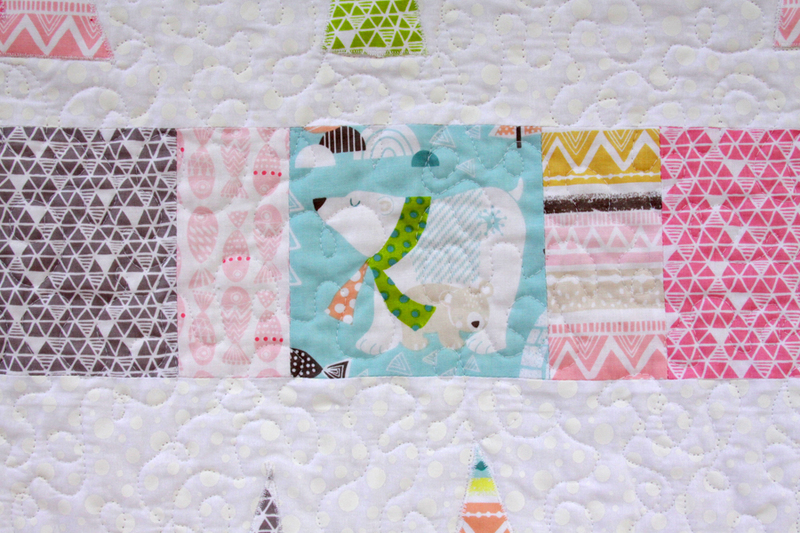 To make the quilt, I used this Charm Squares Baby quilt as a base for the pattern. 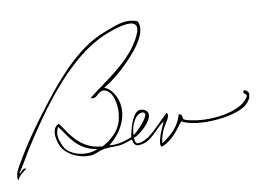 I added four blocks to the width – 2 small and 2 large. I also increased the height of the white sections in between each pieced row to 7″ of fabric. 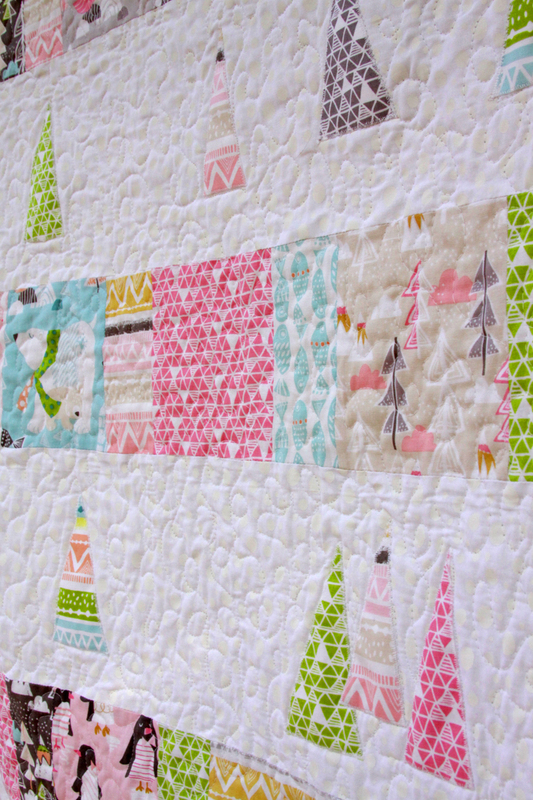 In each of those 7″ strips I appliqued wonky little trees. I have a free pattern for the trees for you! I fused the trees in random places on the strips with fusible webbing. 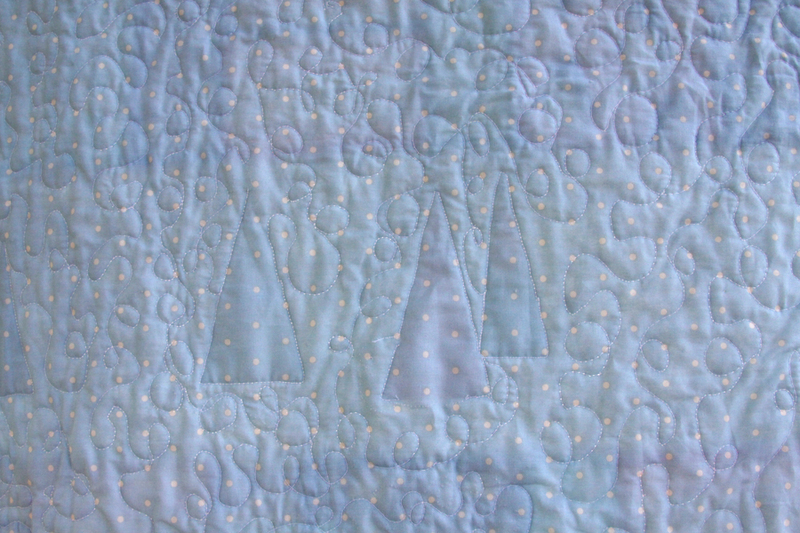 Then I appliqued around them with a zig zag stitch. I sewed everything together and pieced the back with a fun blue polkadot from Jo-Ann – along with a row of three of the strips of print fabric. 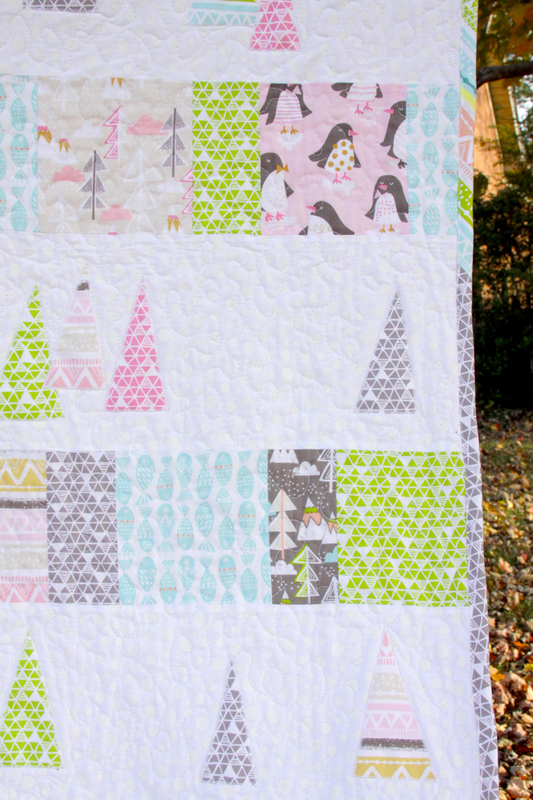 I quilted everything with a free motion swoopy pattern, and I outlined each of the trees. I think it helps them stand out, don’t you? You can see it really well on the back. 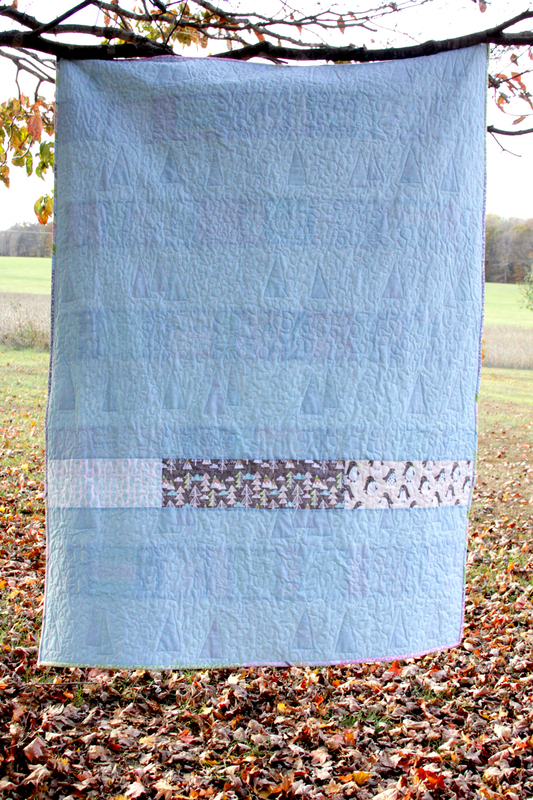 I used pieced binding for the edges, I love how the different patterns look around the quilt! I love how it turned out and I can’t wait to send it off to Project Linus! 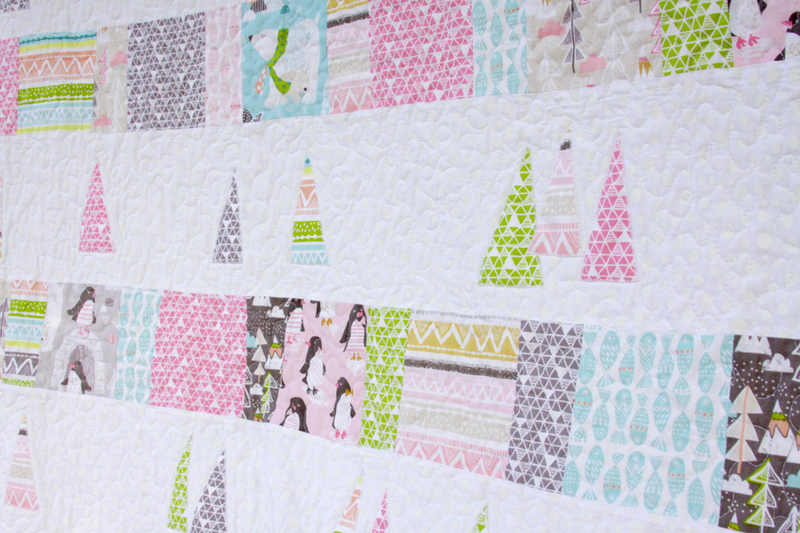 If you need inspiration for your quilt – check out all these awesome projects! 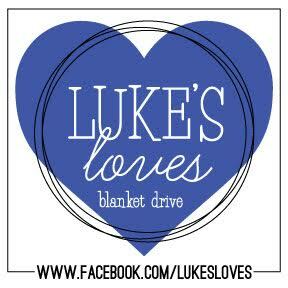 I think someone is going to be very happy to receive this blanket! It’s cheery, bright and fun! Love it! I love it and want to make one for me!! 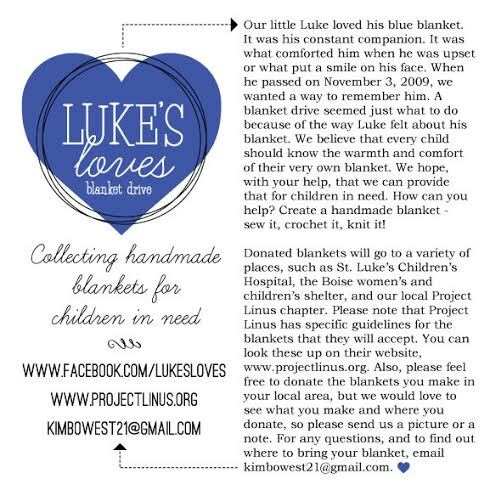 wow, you are amazing, and so touched by the project and all the effort you put in, the blanket is gorgeous! thanks so much for sharing on craft schooling sunday, and truly honored to have you as a regular at the party, which is now even better thanks to you! Love and adore! and How time consuming! You are such a rockstar! 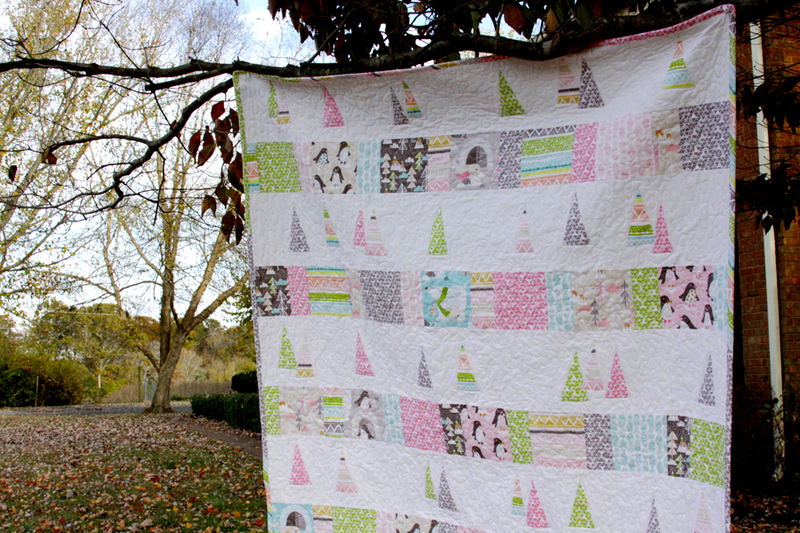 Thanks for sharing your beautiful quilt with us at Inspire Me Monday at Create With Joy!